After gorging on far too much food and drink over Christmas and the New Year we headed to Horsey Gap, half way between Happisburgh and Caister on the Norfolk coastline. 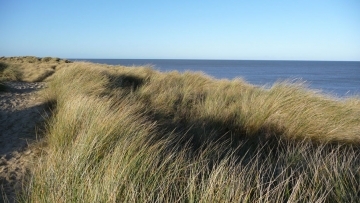 It’s always very bracing to walk along the beach and sand dunes. It’s a great way to clear out the holiday cobwebs. This stretch of beach is another one of my favourites. 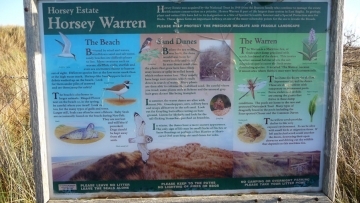 It’s generally a quiet stretch of coastline and often overlooked by tourists. There are spectacular sand dunes which the kids love to play in. Watch the Marram grass though, which can cut you easily. Plus, there are camp sites available, making overnight stays possible – e.g. waxhamsandsholidaypark.co.uk and the alternative option at Poplar Farm (no website available) which permits camp fires. 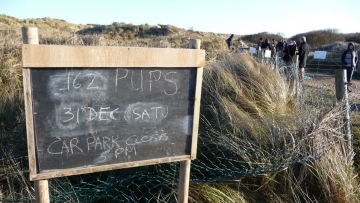 But even in the Winter, it’s a great beach to visit. 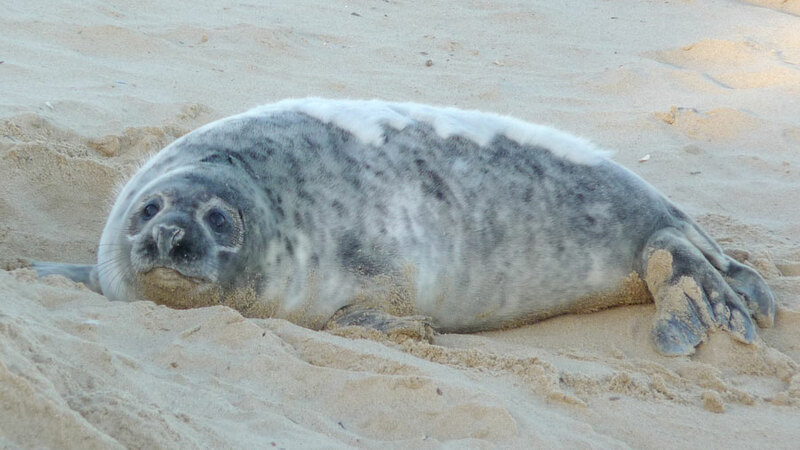 A Grey Seal colony has been growing at Horsey (between Waxham and Winterton) for the past 10 years. 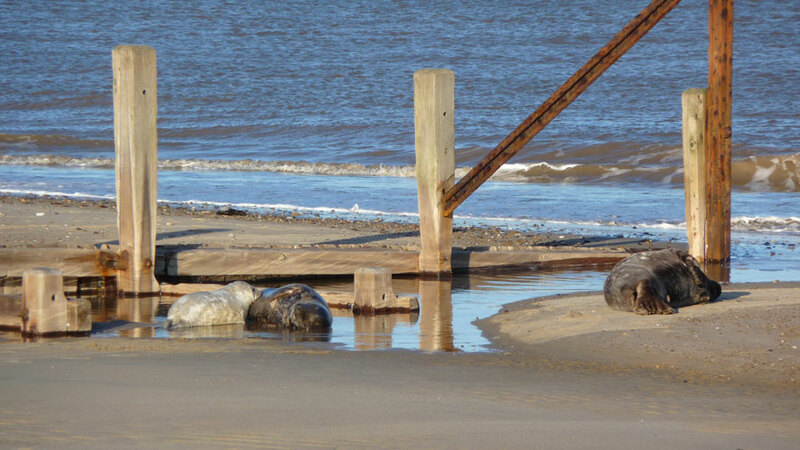 It started with only a handful of seals (a break away group from Blakeney Point?) and now there’s believed to be more than 1,000. The seals come onto the beach to breed between early December and early February. The colony has become so well known that the Horsey Warren car park (and track) was virtually unreachable at 11am yesterday, with cars queuing back on the main road. A 30 point turn was required to turn around! So we parked up at Waxham and took a very long walk down the beach to visit them. The seals have been causing quite a bit of fuss with issues over visitors going too close to the seals, worries about the sea defences being eroded and the car havoc caused at Horsey Gap. But with most cameras having good zoom options, you really don’t need to get too close. But it is wonderful to see the seals lumbering around the beach and bobbing up and down in the water. 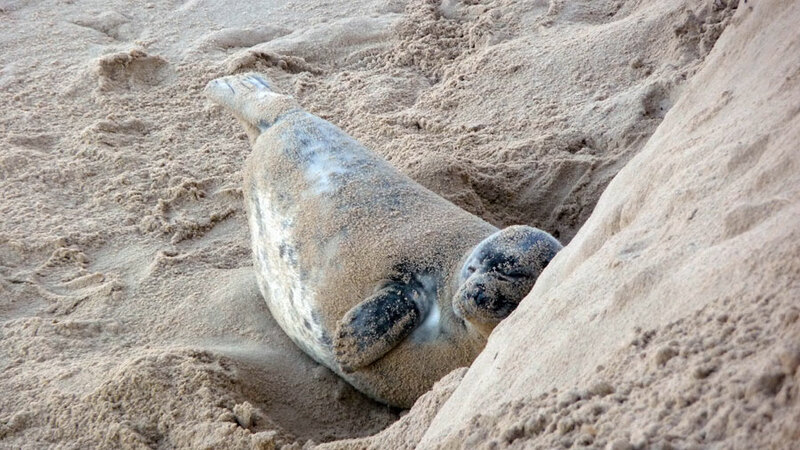 Otherwise, it’s usually a boat trip from Morston to Blakeney Point (where the seals enjoy more solitude). 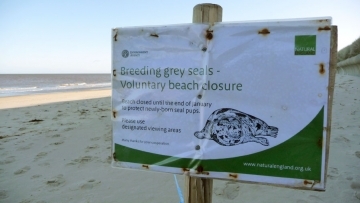 Lets hope that visitors respect the seals and that they don’t get the hump and clear off.